Learn from subject matter experts and hear from other families who have been there, done that via quarterly panel-style seminars, interactive workshops and legacy speaker series. Take your family’s pulse by participating in confidential online surveys to define goals unique to your business, and then develop your action plan in our 1-on-1 strategizing sessions. An estimated 90% of companies in North America are family-owned businesses. Most importantly, these businesses generate 57% of the United States’ GDP and create 70% of all new jobs in North America (EY Family Business Yearbook, 2014). 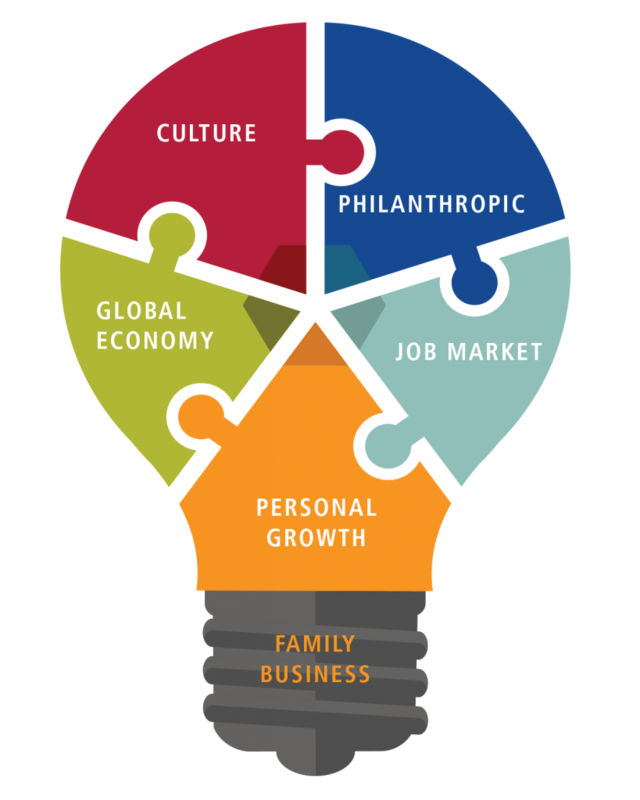 As an entrepreneurial family, you have the ability to positively impact not only your family relationships, but also the local and global economy, the job market, and the philanthropic community all by taking the steps to set up your business for success. The Initiative for Family Business & Entrepreneurship helps you position your business at the core of it all. Learn more about Our Mission.